He is the most famous and well-known cricketer of Pakistani history, graduated from Oxford University and brought 1992 World Cup for Pakistani Nation. A meritorious Imran khan was born on 25 November 1952, in Lahore belongs to Pashtun origin, the one and only son of Ikramullah Khan Niazi. He was shy and quiet in his youth and grew up with four sisters. He studied at Cathedral school and Saint Anthony Lahore for his early education and then he was enrolled for higher studies in Oxford University from where graduated in Economics and Political science. At the age of sixteen He made his first-class cricket debut in Lahore. During 1973-75, He was also a part of Oxford’s Blues cricket team and regarded as medium-pace bowler at that time. Moreover, his maternal cousins also have great interest in cricket as 8 of his cousin were part of first class cricket and played various domestic matches as well. The most prominent successful cricketers among his cousins were Javed Burki and Majid Khan, also played for Pakistan’s national team. Javed Burki also served as a captain of a national team during 1960s and served as a government secretary to ministry of water and power of Pakistan after retirement. Similarly, Majid Khan also a cricket legend and became a captain of a national team during 1970s. On the other hand, Imran khan played domestic cricket for Lahore greens, Pakistan international airlines, Dawood industries, Sussex, Punjab Governor’s XI, ZA Bhutto’s XI, M Parkinson’s World XI, Combined Universities, Rest of the World XI, Oxford and Cambridge Universities. He also played for Sussex and made several records in 1983-1988. He made his international test cricket debut in 1971 in Birmingham against England and also played his first ODI match after 3 years against the same team. He returned to Pakistan after graduating from Oxford University and secured his position for National team and played various international tournaments with Sirilanka, Australia and West Indies. In 1982, he was at his peak and got 62 wickets in 9 test matches with the lowest average in the test history. At that height, the 30 year old Imran khan was rewarded by the captaincy of Pakistani cricket team. He took 88 wickets in 13 test matches during his captainship by the end of 1982-83 series. He also ranked third in all time tests bowling ranking of ICC after playing against India in 1983. He was also known as one of the best fast bowler with speed of 139.7km/h. He played 48 test matches, won 14, lost 8 whereas 26 matches were drawn. Apart from that, he secured all times second highest batting average of 61.86 as a test batsman playing at position six, played his last test match at Faisalabad against Srilankans team in 1992. He ended his career with 88 test matches including 126 innings with 6 centuries, 18 fifties, highest 136 and made 3807 runs throughout his entire career. Furthermore, he took 362 wickets as a bowler in test cricket and became a first Pakistani unbeatable player to achieve this honorable reward. On the other hand, he also played 139 one day internationals (ODIs) for Pakistan as a captain of team Pakistan, won 77 matches whereas lost 57 and 1 match was drawn during his captaincy. In addition to that, he retired from ODI cricket after historic winning of 1992 World Cup final against England at Australia. In addition to that, he played 175 ODIs with highest score of 102* and took six wickets for 14 runs only in bowling with marvelous economy rate as well. 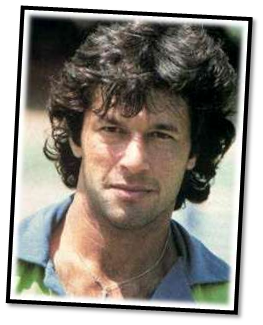 He served as a captain of Pakistani team for three times 1982-83, 1985-87 and 1989-92. After retirement, Khan has written various articles for sify.com, contributed his experiences and opinions in different Asian and British Newspapers. Moreover, his contributions and opinions were published in India Outlook magazine, the Guardian, the telegraph and the independent. He often appeared as cricket commentator on various channels such as TEN Sports, ESPN, Star Sports and BBC. Khan’s life is full of achievements. He got cricket society Wetherall award for leading all rounder of English first class cricket in 1976 and 1980. He won Sussex cap in 1978 and in 1983, he received Pride of performance award and Wisden Cricketer of the year. He was also awarded Sussex Cricket Society player of the year in 1985 and Indian cricket cricketer of the year in 1990. In 2004, he was selected for Lifetime Achievement Awards at Asian Jewel Awards in London because he played handsome role in fund raising activities for affected people throughout the world. He also got Humanitarian award at Asian sports awards for making great efforts for first ever cancer hospital in the history of Pakistan. 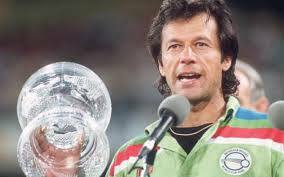 He received Silver Jubilee award on 5 July 2008 in Karachi by Asian Cricket Council (ACC). His name is also mentioned in ICC Hall of Fame. He is also known as one of the best fast bowler of Pakistan (BBC) and worlds 2nd best all rounder after Garry sobers (ESPN). He was appointed as the fifth chancellor of the University of Bradford in 2005 and given Jinnah award in 2011. In 2012, he was Asian Society person of the year and ranked as third in most top leader in a list of nine. There are various books written on Imran khan such as the autobiography of Imran Khan, Imran Khan’s cricket skills, All Round View, Warrior Race etc. He was also rewarded by Hilal-e-imtiaz (civilian award) by the Government of Pakistan and many more. The journey and his contributions are not over yet as he is now serving as a Chancellor of University of Bradford, also instituted Namal College at Mianwali, formed IK foundation for the welfare of flood victims all over the Pakistan and founded first cancer hospital on the name of his mother Mrs. Shaukat Khanum. Above all, he is also the chairman of political party Pakistan Tehreek-e-insaaf PTI (the 2nd biggest known party in 2013 elections) and well known politician and leader as well. Let’s give bird’s eye view to his personal life. He married to Jemima Goldsmith who converted to Islam. He has two sons from her, Kasim and Sulaiman. Khan was so keen to join politics and to live in Pakistan with his son and wife. On the contrary, Jemima was reluctant to live in Pakistan because of terrorism in various cities and didn’t want Khan to join politics. For this reason, khan had divorced her after nine year of relationship. He claimed that all he has done for the people of Pakistan. He is very determined and sticks to his decision once taken by him. According to him, people said, you can’t but he proved them wrong by his strong belief, commitment and hard work. He took the bull by its horns and established country’s name internationally when West Indies, Australia and English teams dominated cricket sight. Similarly, people opposed him while founding Shaukat khanam hospital for cancer patients as well but his strong belief in Allah made him successful eventually. People also opposed him initially when he entered in politics but due to unstoppable efforts and hard work of 17 years, he became popular among youth and Pakistani People and considered 3rd among most popular leader of the world. For this reason, his political party was appeared as a 2nd biggest part of Pakistani politics. He became successful due to his consolidate commitment and made everything possible. Therefore, his life represents that continuous effort for something would definitely lead to productive outcome in the end. 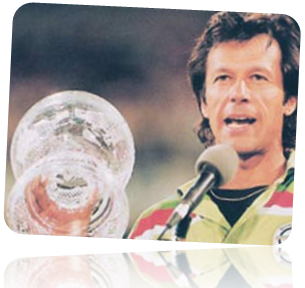 In a nutshell, Imran Khan is unquestionably the greatest cricketer of all times and worlds 2nd best all rounder after Sobers, brought World Cup to boost Nations pride and above all a greatest personality indeed.